This method for installing TU updates is for users that cannot trigger cache updates for one reason or another. 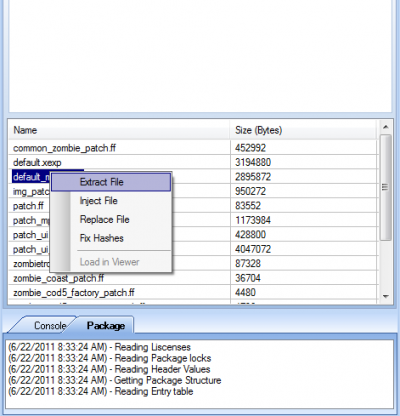 This method requires directly patching the XEX with the patch. Note: XexTool will detect as a virus on some virus programs. This is a false positive. Please ignore it. 1) Open up Le Fluffie and go to "File..", "Open File..."
2) Find the TU Patch file and open it. 3) You should get something similar to the figure below. 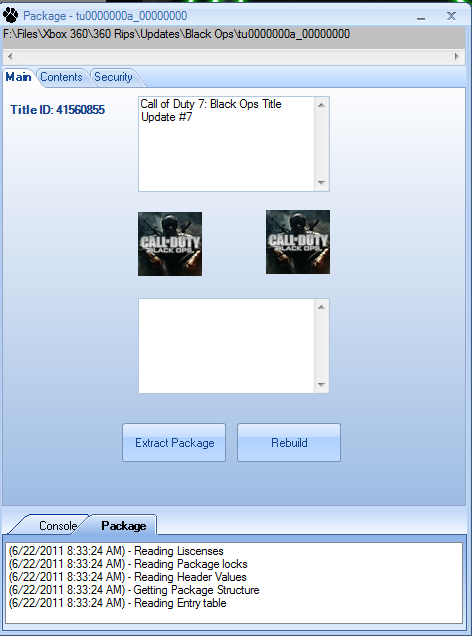 5) Move the clean (default.xex) of the game you are patching, into the same folder as the extracted .xexp files. 6) Now move the XexTool program into that same folder. Your structure should match the highlighted icons below. 7) Hold Shift and right click in the whitespace of that folder. 8*) You should see an option called "Open Command Prompt Windows here"
9) Select that option, and wait for command prompt to load. 10) Now type out this command. -p = Flag telling it to "patch"
11) You should see something similar to the below image. 12) Congrats. You have an updated XEX file. Now transfer that back on your 360.